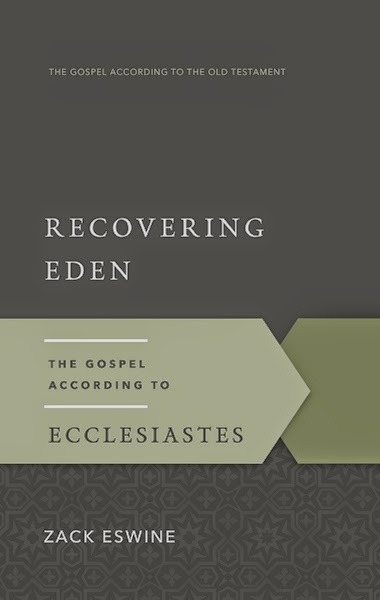 The Westminster Bookstore is offering Zack Eswine's Recovering Eden: The Gospel according to Ecclesiastes for $5. This is a 67% discount. I don't know much about the book, but it comes with some pretty prominent endorsements. Ecclesiastes can be a challenging book so this might be a resource worth checking out. You can read an excerpt here. The sale is only good until next Tuesday, May 13.